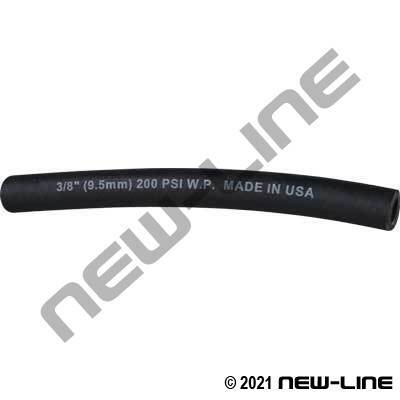 This is used in similar applications to our popular Red Multi-Purpose hoses (such as NL1302, NL1304, NL1322, etc), but NL1312 is all black in colour for those who require a darker colour. It can be used as an air, water, heater, or low pressure agricultural spray hose where oil presence is limited. Its cover is resistant to abrasion, ozone, and weathering. Refer to our NL1311 or NL1315 for an all black rubber garden hose as well.